The trouble with trying to replicate these gorgeous dishes in a studio is that, well, London doesn’t exactly have the same climate, particularly in December! So attempting to photograph 8 gorgeous platefuls of food each day, with only a few hours of proper daylight, is pretty tricky. This meant that the biggest challenge for the Rick Stein: From Venice to Istanbul team was to maximise the small amount of daylight we got each day, and use clever photography and styling to transport the food (and the reader!) to somewhere sunny and warm. The other way of creating atmosphere and a sense of place is to use gorgeous props. This book was no exception, and we had several crates full of plates, cutlery, jugs, trays, pans and every other kind of vessel you can think of. Beautiful mosaicked dishes, burnished metal backgrounds and hints of gold and pink were selected by the prop stylist to really bring the sense of sunkissed palazzos or crumbling Venetian glamour to our corner of North London. To say that food shoots are ‘all about the food’ really isn’t an understatement. 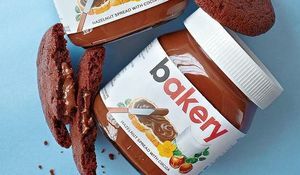 Every single person there is a real foodie – from the photographer who chose to specialize in food, to the art director who rears his own pigs for sausages, and the food stylist whose life is spent sourcing special ingredients and whipping up upwards of 10 dishes per day, which all have to look and taste perfect. Anyone who works on cookery books loves food and loves to eat, so lunch is always a big deal in the studio. Any food that has already been shot is up for grabs, along with salads, hams, cheeses and anything else that has been made in the studio that day. For us this meant one lunch included choices such as split belly stuffed aubergines with pomegranate and pine nuts, the best moussaka I have ever tasted, cuttlefish risotto and baked pumpkin with sundried tomato paste and crispy onions. Elasticated waistbands are an important sartorial choice for shoot days. But back to the work… The final recipe of the shoot is a fabulous Turkish dish – Lamb Tandir. With the gorgeous smell of the lamb wafting through the studio, deliberations begin. Slow cooked with lemon, garlic, oregano and rosemary, this recipe is simple, and all about showing off the main ingredient. After much discussion, the finished shoulder of lamb was placed on a beautifully marbled dark board, to really show off the joint. As incredible as the meat looks straight out of the oven, to really make it sing on camera, lemon juice is squeezed over the crispy skin, and extra sea salt added. 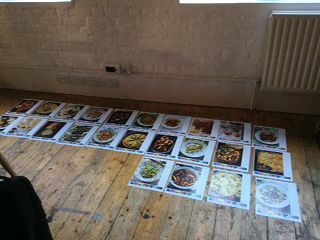 The food stylist then begins pulling the meat apart with two forks, so that the reader can see the texture of the meat. 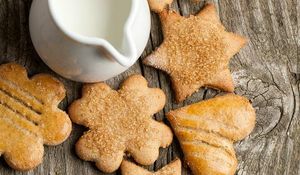 Serious restraint is required at this point to avoid nibbling! The art director suggests keeping the forks in the shot, and the photographer suggests more of the pulled meat being on show. Each tweak requires careful repositioning and a new shot taken. Everyone tries to stay as still as possible while the photographer is shooting, as lots of movement can cause issues with the light and also the stability of the shot. (We stayed stock still, though, as we were all desperate to get it right so we could dive into the dish!) Finally, with two halves of lemon added for colour and a little more meat pulled from the bone, the shot is perfected. 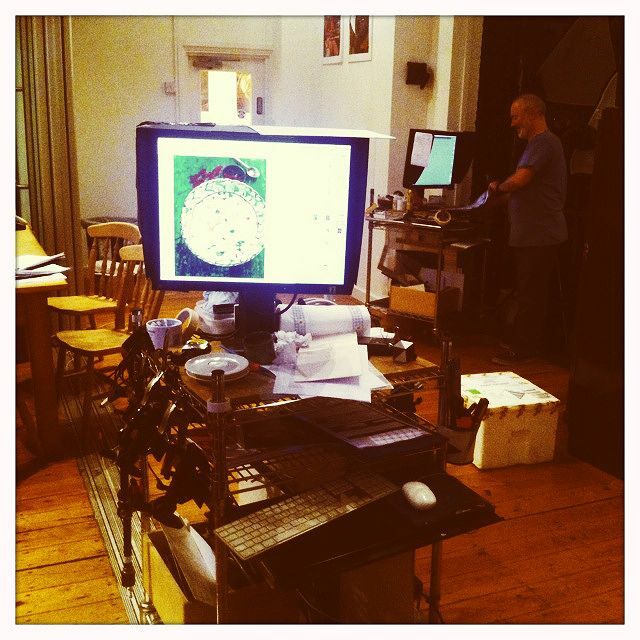 The best sight at the end of the day is all of the unprocessed shots printed and laid out in the middle of the studio. To see more than 60 shots of the beautifully cooked, styled and photographed dishes laid out together really brings together all the hard work of the day, and you can begin to envisage those photos in the cookbook itself. That moment the hard work of the team starts paying off is a great one, and to witness it with a tummy full of amazing food is even better. 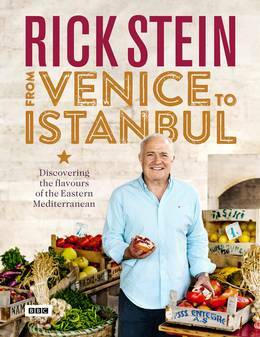 Accompanying the major BBC Two series, Rick Stein: From Venice to Istanbul includes over 100 spectacular Eastern Mediterranean recipes discovered by Rick during his travels across Italy, Greece, Croatia, Albania and Turkey.